Three alumni of the University of Ibadan made it to the prestigious list of this year’s YNaija Power List. This is the list of young people who are changing the landscape of Nigeria. Chris Ogunlowo, Fisayo Soyombo and Bada Akintunde Johnson – all UI alums, are on the list for breaking boundaries in the fields of Media and Communication. Seasoned advertising executive, Chris Ogunlowo, is known as the mind behind some of the most viral adverts Nigeria has seen in recent times. He holds a bachelor’s degree in Communication and Language Arts. He also has certification in advanced concepting, advanced integrated campaigns, storytelling and writing from the Miami advertising school, Berlin. Chris has been creative director at a number of reputable advertising agencies including DDB Lagos and 141 Worldwide. He was also creative director and principal partner at Kwirkly, which he founded. Chris has worked with brands such as Virgin Atlantic, Coca-Cola, Microsoft and MTN and he is now at SO & U where he is in charge of the team that manages all of Globacom’s creative output. Bada Akintunde Johnson, also a graduate of the Department of Communication and Language Arts was formerly a broadcast journalist and advertising executive. Akintunde is the Country Manager for Viacom International Media Networks Africa. The multimedia broadcast organization has a portfolio of over ten television channels including; MTV Base, BET, Nickelodeon and Comedy Central in the Nigerian Market. Akintunde Johnson’s position as manager of Viacom’s Nigeria business makes him a driving force within the Nigerian media space. Internationally acclaimed investigative journalist Fisayo Soyombo was the pioneer editor of TheCable networks Nigeria. He holds a bachelor’s degree in Agriculture and Animal science. Fisayo veered into media while at university by participating actively in campus journalism. His activities at TheCable helped to position the news website as one of the leading investigative news outfits in the country. Fisayo has worked at a number of reputable news outfits including The Guardian newspapers, International Centre for Investigative reporting (ICIR), where he published his impactful Forgotten Soldiers series, and Al Jazeera where he is an opinion contributor. Soyombo joined Sahara Reporters in 2018 and has conducted investigations on the health system and police corruption at state borders. 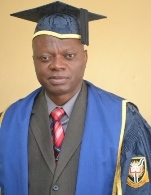 Professor Ayo Ojebode, Head, Department of Communication and Language Arts, expressed profound happiness at the achievements of these young gentlemen stating that the University of Ibadan comes next to none when it comes to impacting the society through alumni.